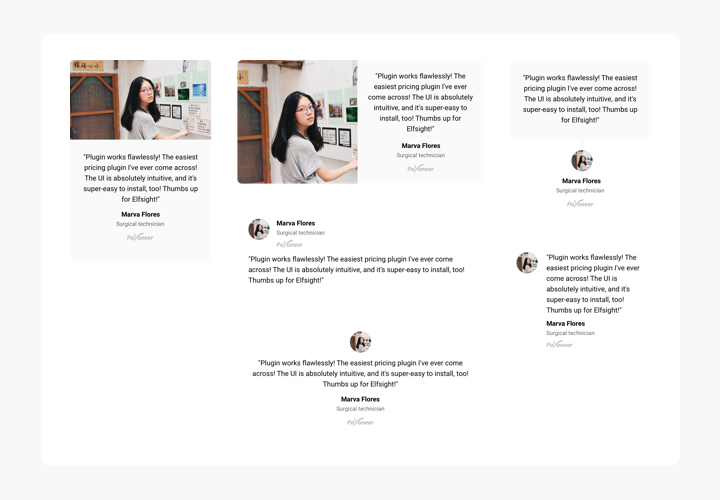 Testimonials Slider – a superb plugin for revealing reviews of your clients on your personal website. 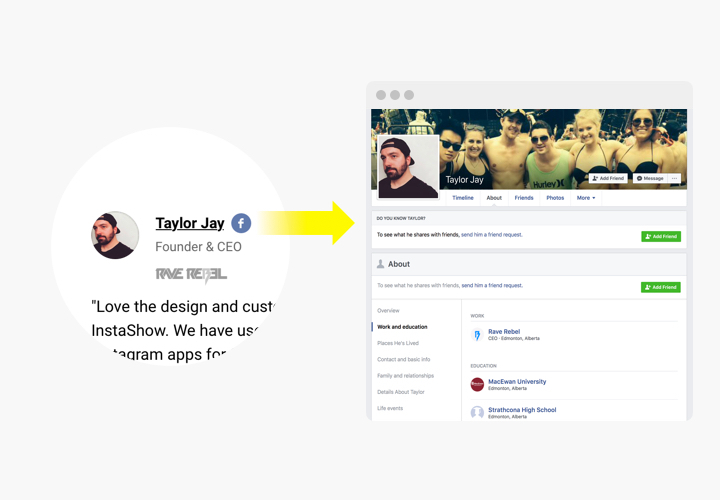 You can attach any social proof to make testimonials trustworthy: author’s name, picture, trade logo of the organization and even a link to the site. Level up confidence in your service by demonstrating to visitors your real and bright reviews. Reveal all info about the author of all reviews, including: name, company, position prove to visitors, that they are dealing with testimonials of real clients. 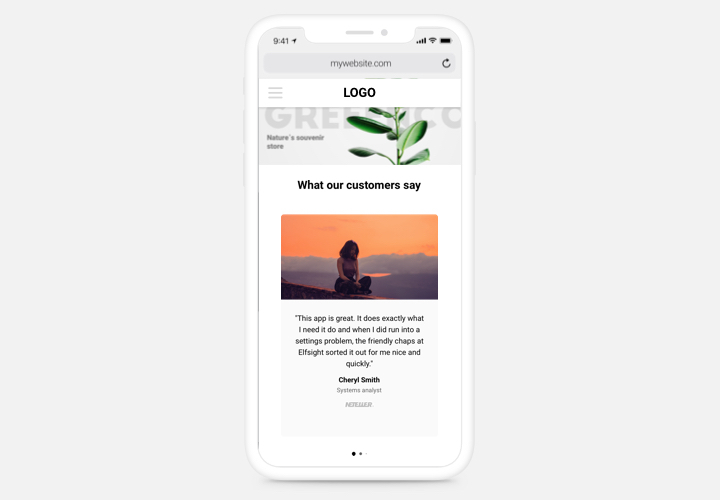 Displaying true user reviews with happy experience inspires clients to share these impressions and motivates them to buy and increase your conversion. A link from review to Facebook, LinkedIn or a website of the author is a sign of reliability for users, which will increase credibility and demonstrate your business is true. Boost conversion up to 200%. Transform your testimonials into the crucial argument, displaying them right where viewers take their decision about buying or registration. The prominent traits, which transform Elfsight Testimonials Slider into an irreplaceable plugin for any jQuery site. Use Facebook or Twitter profile URL to prove that the author is real-life. Elfsight plugin is intuitive in terms of installing and doesn’t require any knowledge in programming. Fulfilling of the tutorial will only last for not over several minutes. 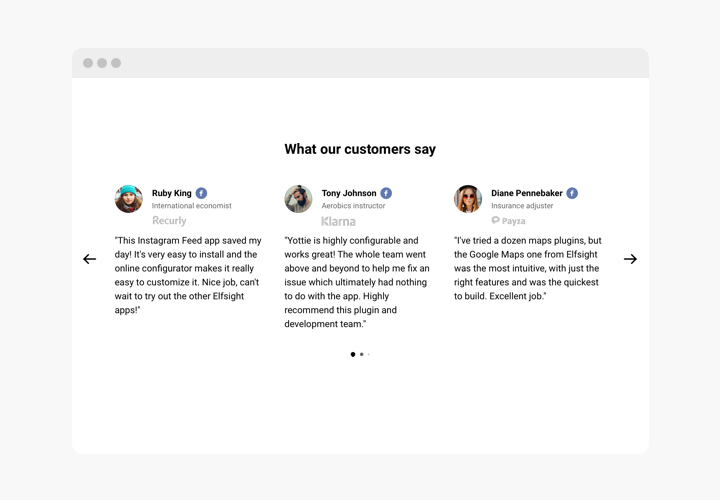 Build your personalized Testimonials Slider. With the help of our free demo, a plugin with necessary template (Carousel, Rotator, Grid or etc) and options. Receive a code for displaying the plugin. 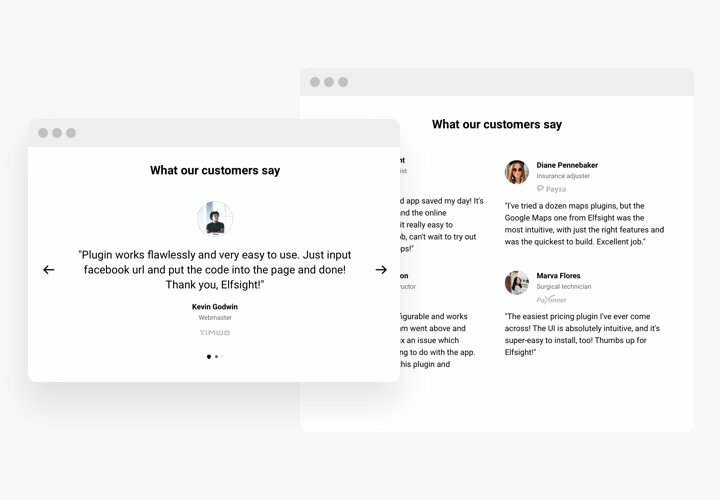 After widget tuning, receive a code for Testimonials from the appeared window on Elfsight Apps. Show the plugin on jQuery website. Display the plugin to the desired place of the page and apply the changes. Enter your jQuery website, to check your work. Experiencing any queries while adding or adjusting the testimonials plugin? Get in touch with our Support Center. 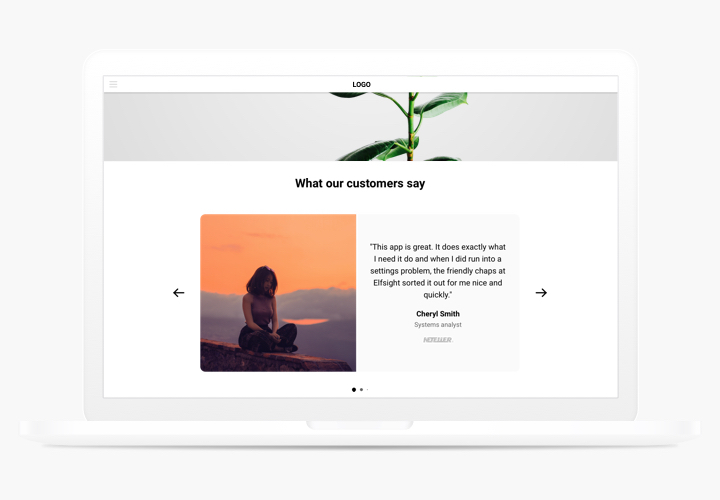 Check responsive jQuery Testimonials Slider in just 50 seconds!